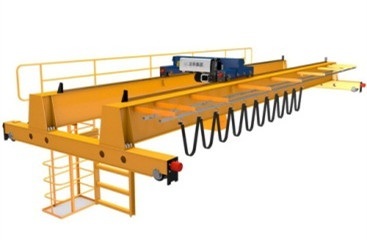 Lift Bridge-Girder Gantry Crane equipped with special spreader, traveling mechanism can do steering walk, mainly used for handling and transitions lifting of large bridge. 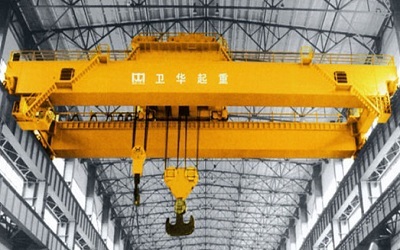 Lift Bridge-Girder Gantry Crane mainly consists of main beam, rigid legs, flexible legs, crane traveling mechanism, hoisting mechanism, electrical control system, hydraulic system, cabin, railings, ladders, walkways and other components. 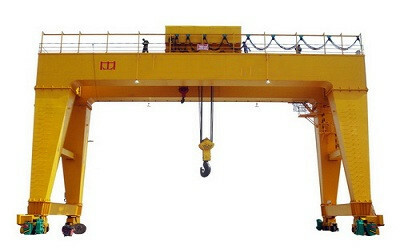 Lift Bridge-Girder Gantry Crane adopt rail-type traveling technology, the whole crane walk, steering and lifting are all hydraulic drive, traveling mechanism can do 90 ° steering so as to achieve straight, transverse and oblique varieties of walking mode, to meet all bridges handling in the operation site. 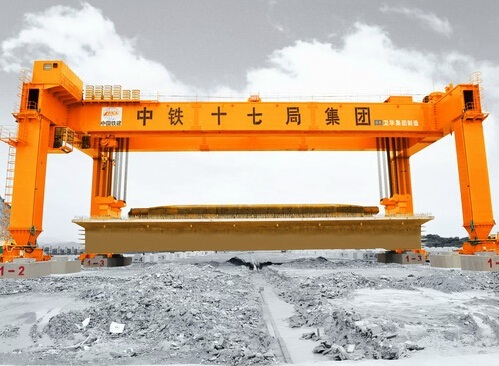 Its advantage is strong equipment adaptability, high efficiency, and small covering area. 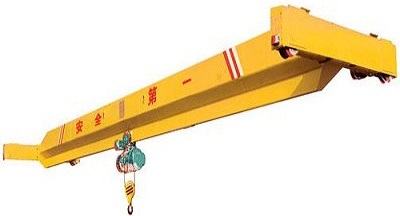 Used for lifting, handling and loading bridges within 1000 tons in China high-speed railway construction. It can be designed to two same tonnage Lift Bridge-Girder Gantry Cranes to lift heavy Tonnage and long-span bridges synchronously.